Kits > SALE "Peaceful" quilt kit --from a pattern named "BRAVE"
SALE "Peaceful" quilt kit --from a pattern named "BRAVE"
We chose the "Peaceful" quilt from this pattern, Brave. 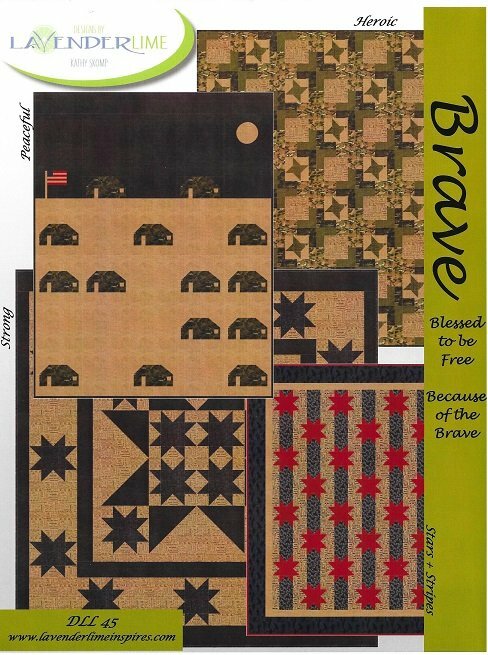 There are 4 projects on this pattern, Peaceful, Heroic, Stars & Stripes and Strong--so you can use the patterns for several projects. The quilt finishes to 60" x77", and the kit includes all fabrics to complete the top and binding, plus pattern. Pattern alone is $ 14.99, complete kit is $ 85.00.